On December 18, the President of the Republic of Uzbekistan Shavkat Mirziyoyev held a meeting on the issues of ensuring the need for modern personnel, attracting educated youth to strategic industries. In recent years, measures have been taken on improving the education system, training modern personnel. A program for integrated development of the higher education system for 2017-2021 is adopted by the resolution of the President. This year, 13 new higher education institutions have been organized in the country, including branches of foreign universities. The Academy of Sciences and the Ministry of Innovation Development of the Republic of Uzbekistan have begun working on training highly qualified personnel. Certainly, the attention paid to this issue will surely give its results in the near future. However, advanced personnel that meet the requirements of accelerated reforms implemented in all spheres are needed today. In the process of structural transformations, it became clear that most of the specialists are not ready for them, their knowledge, qualifications and skills do not meet modern requirements. For example, at the initial stage, it is required to send abroad more than 3.5 thousand specialists for training in programs of magistracy and doctoral studies, advanced training and internships. There is a need for more than 600 of our compatriots with international scientific and practical experience. It is required to involve about a thousand foreign scientists and experts. This means that urgent need for scientific and scientific-pedagogical personnel is more than 5 thousand. If we consider the need for production spheres, this figure will increase at least 50-100 times. – And this is just the need for personnel today. What and for which spheres will specialists in the near and distant future of economic development be needed? It is already necessary to think deeply about this issue, educate personnel that meet the requirements of the time and pace of reforms. 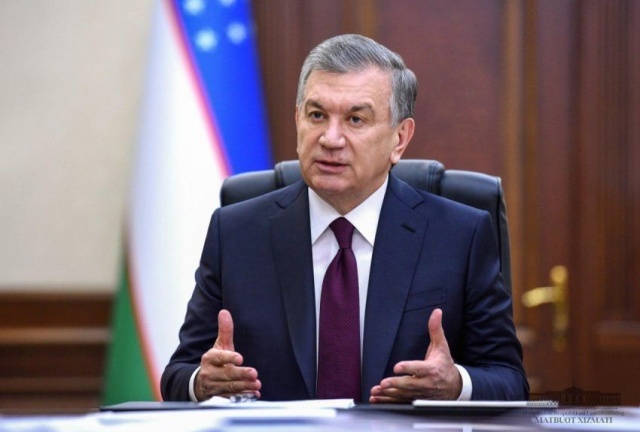 Our future depends on resolving this issue, – said Shavkat Mirziyoyev.